Crow’s Feet: When Do Men and Women Get Affected? Some people think that crow’s feet add character to a face, but others disagree and often find themselves wondering how they developed crow’s feet in the first place. Crow’s feet, sometimes referred to as laugh lines, are usually more of a nuisance than welcoming facial character. They are the fine lines and wrinkles that sprout up from the corners of the eyes. There are several factors that can lead to crow’s feet, but if you begin preventative and protective measures at an early age, you might be able to ward off crow’s feet. This article will discuss what Are The Causes of Crow’s Feet?, when men and women begin to develop crow’s feet, injectable medications, Botox, what health experts think, prevention and more. Keep on reading and discover more interesting information about eye cream and its effects. Also, check the Skinceuticals A.G.E. Eye Complex; an option to get to rid of wrinkles and crow’s feet. What Are The Causes of Crow’s Feet? Age is the number one cause of crow’s feet. When we’re younger, our skin is full of collagen and elastin, but as we age, we start to have less of this. Our facial muscles also begin to weaken. All of these things make it harder for our facial skin to remain young and smooth. Sun damage is the second biggest contributor to crow’s feet. Sun damage really ages our skin. That is why it is so important to take care of your skin starting at an early age. Once the fine lines and wrinkles begin to show up, it becomes more difficult to get rid of them for good. The term facial rejuvenation covers a broad spectrum of facial procedures. Facial lines and wrinkles form from because of a variety of things, including the natural aging process, damage from the sun, general muscle movement. As we age, are skin begins to show fine lines, creases, folds or ridges. These visible lines are called wrinkles. Its a fact that as we age the composition and appearance of our skin change. Some of the noticeable signs of skin aging include wrinkles, fine lines, loss of moisture, uneven tone, and dull, tired-looking skin. What is the main ingredient in Instantly Ageless? Jeunesse Instantly Ageless is a brand of facial cream that, as the name suggests, claims to help users achieve a more youthful appearance in minimum time. What is Hydra Claire Cream? Hydra Claire Cream is an anti-wrinkle formula that is designed to smooth the wrinkles and fine lines. 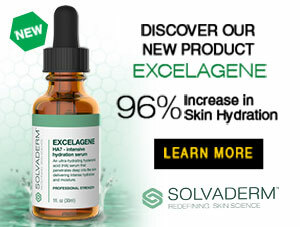 It helps to protect your skin from sun damage and other environmental factors. What is the best wrinkle repair cream? Those annoying wrinkles, we dont want them, but they appear anyway. The most women, the worst nightmare, includes a scenario wherein they are standing in front of a mirror and notice crows feet or wrinkles around their eyes, mouth, or even on their forehead. What is the #1 cause of wrinkles? You may have the best skin care products to prevent those wrinkles and fine lines from appearing but, to more effectively look younger than your age for longer. When Do Men and Women Get Crow’s Feet? Surprisingly, many men and women start to see crow’s feet pop up in their mid to late 20s. Most people are shocked to learn that they can develop fine lines and wrinkles this early, but it is a fact. Since smiling, frowning, squinting and laughing all cause the skin at the corners of our eyes to crinkle, it can be hard to avoid developing crow’s feet. Knowing that these wrinkles begin to show in mid to late 20s, it is very important to use adequate prevention techniques as soon as possible. The teen years would be the ideal time to start. Unfortunately, most teenagers are too busy worrying about prom, driver’s education and time with their BFFs. You might get help by reading about the Plexaderm Review; which may tell you about how to deal with wrinkles, crow’s feet and fine lines. What are the Biggest Crow’s Feet Instigators? As mentioned earlier in this article, the natural aging process along with facial expressions we all make on a regular basis, is very much to blame for the development of crow’s feet. Smoking is also a big contributor to crow’s feet (along with other facial wrinkles), because when your face is surrounded by cigarette smoke, it causes you to naturally squint your eyes. Your sleeping position may also be to blame. If you sleep on your side or your stomach, you are putting pressure on parts of your face. You may not realize this, but permanent lines usually start with temporary ones. WebMD also suggests that people who yo-yo diet are more susceptible to developing facial wrinkles. Losing weight and then gaining it back causes the skin to stretch and can eventually damage the skin. When Do Injectable Medications Come Into Play? Most doctors prefer to treat crow’s feet with a combination of Botox and injectable fillers. Botox is applied to the area first in order to minimize muscle contractions. When you smile, the contracting muscle causes your skin to bunch or crinkle around the eyes. Patients wait approximately one week to see if any lines are still visible. If there are, injectable fillers are used to achieve the final result. Using filler without Botox causes the filler to dissipate rapidly as the muscle contractions break it down. Laser resurfacing and chemical peels are also options. Although Botox is still very controversial, many patients and doctors wear by it. Botox relaxes the muscles in the problem area, which causes the skin to smooth out. Each time you receive a Botox treatment (its effects aren’t immediately permanent), your wrinkles will come back less defined. Some experts feel Botox can retrain the muscles in the face, so that wrinkles eventually disappear all together. Anti-wrinkle injections can definitely have side effects. Temporary bruising, headache and mild flu-like symptoms are common. Less common side effects include drooping eyelids, twitching eyes, pain in the face and weakened areas around the muscles. Side effects are temporary. 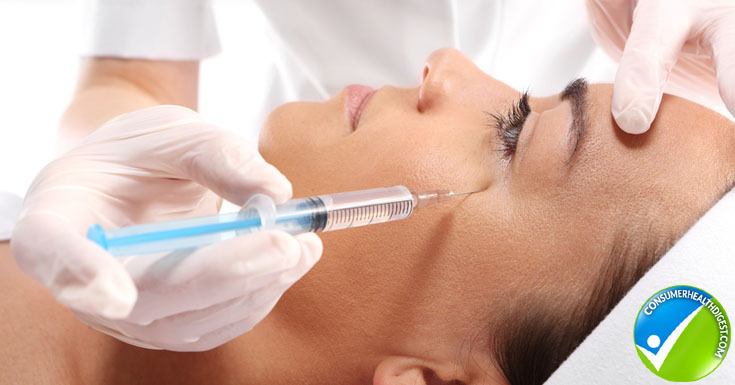 The ingredients used in anti-wrinkle injectables have been approved by the Therapeutic Goods Administration of Australia and the United Stated FDA. What does Botox do to your body? How can we prevent wrinkles? Most people describe anti-wrinkle injections as feeling like a mosquito bite. Injections are made with very fine needles and small amounts of liquid. Local anesthesia is not necessary and the pain is rated as a 0.5 out of 10. According to the Mayo Clinic, wrinkles are a natural part of aging. It is inevitable that everyone will develop wrinkles at some point or another. The face and neck get a lot of sun exposure and oddly enough, these are the areas many people ignore in their younger years. By taking the proper measures, crow’s feet and other facial wrinkles can be avoided for a longer amount of time. Your lifestyle choices have a lot to do with how your face ages. The most obvious form of prevention is to stay out of the sun as much as possible and of course wear protective clothing and use sunscreen during times when you will be in the sun. Don’t forget that the sun can still be damaging even if it is behind the clouds and you are in the water or in an automobile. Certain hairstyles will help protect parts of your face better than others. You can also wear hats and apply SPF 15 to your face and neck frequently. Women who wear makeup should go through a skincare regimen before applying makeup in the morning and should use the same regimen in the evening to remove the makeup (especially the eye makeup) before bed. Try to sleep on your back as much as possible and be aware of what’s going on with your skin at all times. However, the market is flooded with many wrinkle creams & its reviews, you can also check Dermalift reviews which may help you to guide for a healthy skin. Crow's Feet: When Do Men and Women Get Affected?